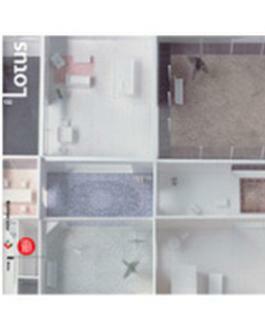 From Italy, LOTUS INTERNATIONAL is a professional architectural review. LOTUS INTERNATIONAL was founded in 1963 and since then has been an important vehicle for architects when reflecting and understanding the problems faced in contemporary architecture and the nature of the changes taking place in the contemporary world, particularly the environment. The environment has always been a major design cue for many architects; however the new trend is that the contributions of architecture are proving increasingly inadequate to table the breadth of the transformations underway in the new globalised world. LOTUS INTERNATIONAL strives to comment on this shift, without renouncing any of the hope offered by architecture and planning. LOTUS INTERNATIONAL’s conviction remains that the primary task now is to understand before anything else the forms of these changes. Before defending causes or movements, even before promoting what is crying out to be promoted, LOTUS INTERNATIONAL is asking what is right, beautiful, appropriate and desirable. For single issues please allow up to 12-21 weeks for your first delivery. Please note this magazine will be a current issue at the time.